Georgie is an agri-communications specialist, with a special flair for social media, based in North Star, NSW. Growing up on a sheep and cattle property at Thargomindah in the heart of Queensland’s channel country, she completed her education on Queensland’s east coast and is proud to have worked in the red meat industry for the majority of her career. 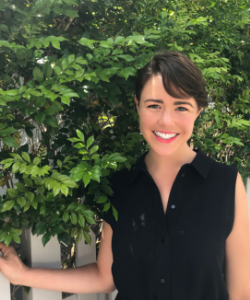 She has a big passion for connecting young people in agriculture to the latest and greatest events and information, and is thrilled to be able work with the next generation of farmers and agricultural professionals across Australia. Megan has a broad range of experience working in agriculture, ranging from agri-communications to agribusiness and most recently, agri-finance. Growing up on a mixed sheep/beef/cropping enterprise in Coonabarabran, she went on to gain a Bachelor of Science in Agriculture (Hons) from the University of Sydney where she majored in Agribusiness. 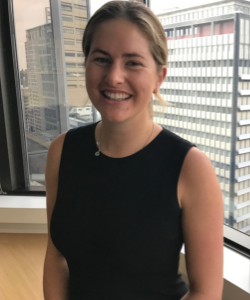 Megan currently works as an Agribusiness Analyst for NAB Agribusiness in Moree, where she is responsible for the financial analysis of farming and business clients across the cotton, grains, livestock and horticulture industries of Northern NSW. She was previously employed by Meat & Livestock Australia where she held positions as a meat market analyst and a communications role managing key stakeholder relations. 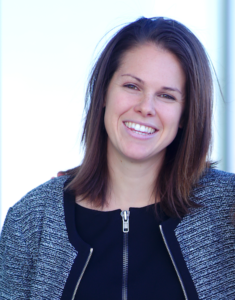 Megan is passionate about the future of agriculture and providing education opportunities for young professionals in the bush, particularly business education in young farmers. 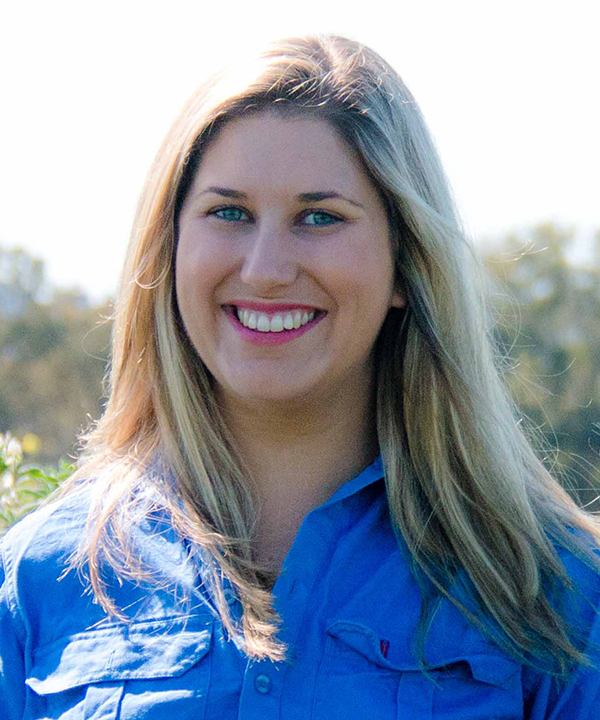 She is a founding member of the Moree Young Aggies group, a networking group for young agri-professionals in Northern NSW who strive to better our local agricultural community. She would love to see the FFN membership base grow to include a wider range of industries to ensure we can adequately foster the next generation of industry leaders. 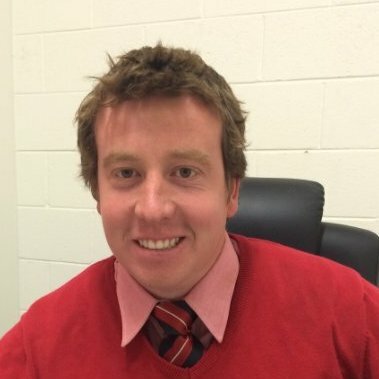 Tom Rookyard is the Operations Manager at AuctionsPlus and has been with the company for 5 years. Originally from Berrima NSW, now based in Sydney, Tom has always had an interest in agriculture, mainly in the sheep and wool industry. Tom’s role leads him to managing the commercial livestock and stud livestock teams for AuctionsPlus, working closely with livestock producers, agents and buyers. In addition to this Tom also manages the wool platform for AuctionsPlus – AuctionsPlus Wool, an online bid and offer board. Prior to starting at AuctionsPlus, Tom worked as a horse handler at William Inglis and Son, thoroughbred auctioneers at Randwick. 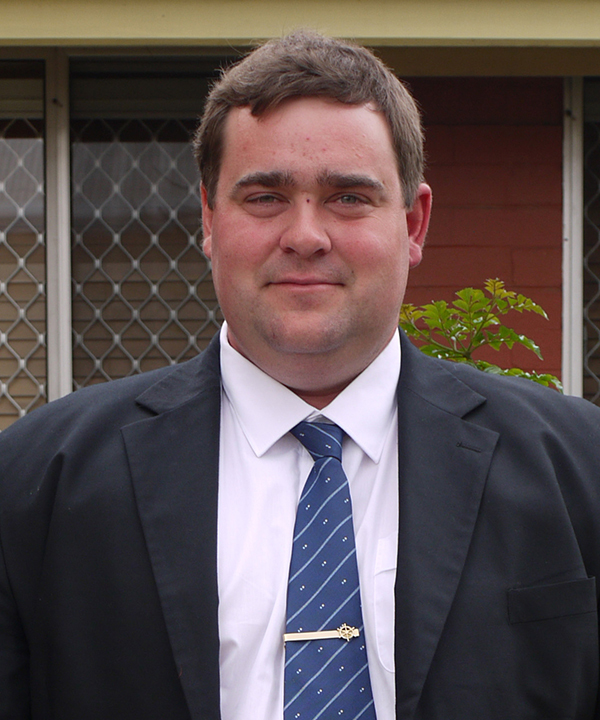 Tom graduated from Charles Sturt University Wagga with a Bachelor of Business Studies and has just completed his Masters of Agricultural Business Management by distance through Charles Sturt University at Orange and is currently completing his NSW Stock and Station Certificate of Registration. I am an Associate Lawyer with Morgan + English Commercial Lawyers based in the Hunter Valley, Scone NSW. I specialise in corporate law and commercial litigation. After completing my studies at the University of QLD, I spent the start of my career working as a commercial litigator in Sydney’s CBD. Upon making the rural move, I have had the pleasure of working with mid to large Agribusiness clients, providing advice on commercial transactions and corporate restructures, as well as commercial disputes and litigation. I grew up on a cropping and cattle property in between Goondiwindi and Moree, where my family remains based today. I currently live on my husband’s family’s cattle property out of Scone, commuting to town each day for work. I have a vested interest in agriculture and its future, both personally and professionally. I feel privileged and excited to be given an opportunity to contribute to an organisation like FFN, whose mission statement resonates with me as a young professional in the bush. 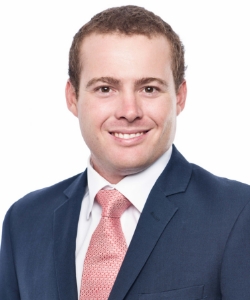 Lachlan is a Senior Investment Associate for Laguna Bay, a specialist funds management firm focusing on deploying institutional capital into various agricultural industries. 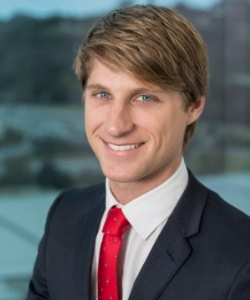 Lachlan’s primary role involves identifying investment opportunities for Laguna Bay’s funds, as well as assisting with the management of existing assets in our portfolio. Laguna Bay currently manages several assets spanning row crop, permanent crop, sheep, cattle, and dairy sectors. Having grown up on his family cattle station in North-west Queensland, as well as working as a station hand across QLD and NT, Lachlan has an in-depth appreciation of what it is like to be involved in production agriculture. Lachlan has completed a Bachelor of Agribusiness from Marcus Oldham and holds a Private Pilot’s licence for fixed wing aircraft. With this variety of experience, Lachlan hopes that he can bring a different agricultural perspective to the board and the various members. Henry grew up in the Swan Valley in Perth, Western Australia. His family are involved in beef production, viticulture and horticulture and have previously also had an interest in station in the Pilbara. His involvement in agriculture grew from involvement in these industries. Henry attended Muresk Institute, a campus of Curtin University, where he completed a bachelor’s degree in Agribusiness Technology with honours. After completing University, Henry commenced working on cropping and mixed farms in Pingelly then Lake Kingand. In 2012 he was appointed as a Farm Manager on the south coast of WA, running a predominantly merino enterprise. After a change of direction Henry is now working in Lake King as an assistant farm manager on a cereal farm. While studying at Muresk, the campus was in the process of being shut down with Henry actively involved in trying to keep it open. 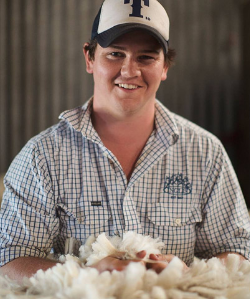 This led Henry to becoming involved with the WA Farmers Federation and in turn AgConnectWA, an under 35 social networking group for people involved in the agriculture industry of WA. Henry has since been elected to the AgConnectWA Committee. Lachlan has spent the majority of his career working with agricultural producers across Australia, particularly specialising in helping sheep producers to achieve maximum productivity from their enterprises. He has risen to key roles with his time at Elders, paying particular attention to helping the next generation succeed in servicing Australian agribusiness. Moving on from Elders to a career in specialist Horticultural management with Southern Cross Farms in Mildura he has expanded his keen interest in helping to identify and manage large agribusinesses. Lachlan believes that the biggest challenge facing modern agriculture and farming into the future is not necessarily lack of funding but lack of knowledge in how to access capital. He is passionate about helping younger farmers succeed and wants his time as a director to young farmers the chance to invest in their own knowledge to gain capital to invest in expansion, beginning and productivity. Lachlan holds a Bachelor of Agribusiness (Economics), Graduate Certificate in Agribusiness and is studying for his Master in Agribusiness. He manages a small mixed farming operation in the Far West region of New South Wales. Mary has professional experience in the red meat and livestock industry in agricultural policy, professional skills development, stakeholder engagement and communications. In her current role as Assistant Manager – Trade and Market Access in Meat & Livestock Australia’s International Markets team, she works closely with industry representatives and the Australian Government to improve Australia’s red meat market access in the industry’s diverse international markets, seeking to reduce supply chain costs, maximise export values and improve the competitiveness of Australian red meat. Prior to this role, Mary worked with the Cattle Council of Australia and MLA in communications, stakeholder engagement, policy development and industry capability building programs. Mary hopes to work with the Future Farmers Network to increase the engagement of young professionals working in agriculture to identify opportunities for skills development and growth, regardless of geographic location. Mary grew up on a grazing property near Boorowa, NSW, and is currently based in Sydney. Sarah Nolet, founder and CEO of AgThentic, is a globally recognized food systems innovation expert. A systems thinker with an understanding of the complexities of the food system, Sarah brings a visionary yet pragmatic approach to her work across the global food and agriculture industry. 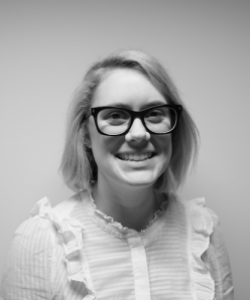 Sarah works with farmers, agribusinesses, universities, investors and foodtech and agtech entrepreneurs to achieve their goals, and build the food system of the future. 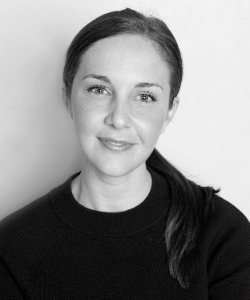 Sarah is also a startup advisor and investor, sought after speaker, and writer. Sarah holds a Masters in System Design and Management from MIT, and a B.S. in Computer Science and Human Factors Engineering from Tufts University. Olivia grew up working on a large, mixed-enterprise farming operation in Warren, NSW, which specialises in Merino wool, commercial sheep and cattle and mixed-cropping. Olivia has experience across the Ag industry, from farm-gate to the retail sector. After finishing a degree in Economics (Ag Econ) at the University of Sydney and working in agri-business consulting, Olivia currently manages the Regional Portfolio for the Deputy Premier and Minister for Regional NSW, John Barilaro – managing investment in regional infrastructure as well as programs and policies pertaining to Regional development in NSW. This role also involves working with industry to overcome constraints limiting the effective operation of commercial business in NSW. Olivia also wants to help farmers access alternative sources of capital for growth and greater access to innovation and technology, in order to maximise production and profit. She’d also like to see a strengthening of relationships across the supply chain, from farm-gate to retail sector, so that farmers have greater transparency over their produce and better access to markets. Richard is a Chartered Accountant and Business Valuation Specialist with experience in financial advisory prior to entering the agribusiness sector in 2015. His passion for agribusiness stemmed from his experience at Craig Mostyn Group, a leading diversified and vertically integrated agribusiness in Western Australia. In his time at Craig Mostyn Group, Richard was involved in various projects across the supply chain including farm expansion, abattoir expansion, sales contract pricing and sales contract negotiation. This experience inspired Richard to enrol in a Master of Agribusiness at the University of Melbourne. Richard now works at Mareterram Limited, a company created through the union of Craig Mostyn Groups food service division and NorWest Seafoods, a West Australian fishing company. Mareterram aspires to become a diversified agribusiness in which Richard plays an integral role as the mergers and acquisitions manager. His belief that there is a large network of young people looking for a way to contribute to agriculture and the opportunity to further connect city and country is what has excited Richard about the opportunity to join the FFN Board. Richard is passionate about ensuring the voice of regional Australia and their agricultural communities are both heard and understood.